Learn how to be more productive with time management tips, time blocking and motivation hacks! Have too much to do and not enough time to get it all done? Or wondering how those successful people always seem to have more hours in their day than us mere mortals? The secret isn’t trying to make more time but to use your time more wisely by being super productive! And the even better news is that anyone can do it with some easy productivity hacks. Being productive helps with every part of life, from running an online business to cleaning a home. Working smarter, not harder will help any aspect of your life run more smoothly and efficiently. 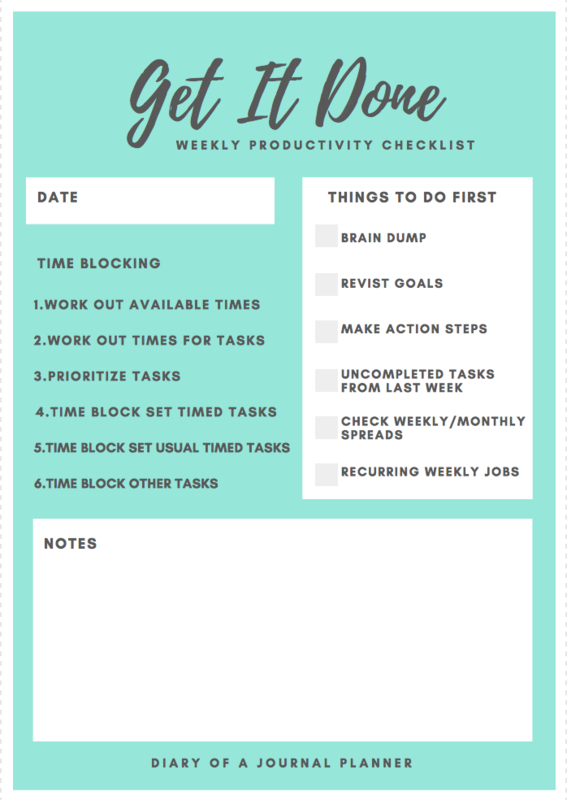 At the end I have a free printable for you to help you improve productivity at home. Why Does Time Blocking Work? The sad truth is that for most of us, the more we have to do, the harder we find it to focus on doing those things. One of the biggest myths about being productive is that it involves multi-tasking. In fact the very opposite is true. Focusing on one single task at a time is the most effective way of becoming more productive. 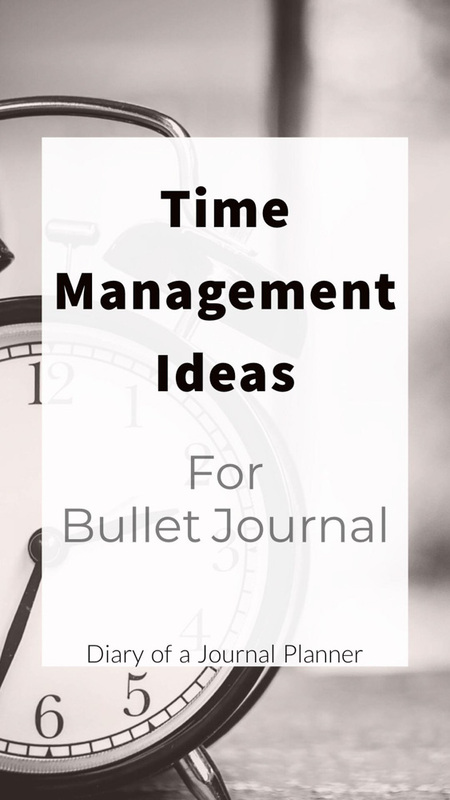 Time blocking or Block Scheduling is an easy time management tool that anyone can use. And you can use to become more productive in every part of your life. From work to homemaking. You set a specific amount of time for those tasks you want to accomplish for the day. Then when the time comes around you work purely on the task assigned to that time frame. Just like I have spoken about in my Goal Setting post, time blocking uses simple techniques similar to SMART goals to make you successful. You set a small, realistic goal, have a time frame and create action steps. This allows you to focus all your attention just on one task. Making you have a much more productive day! The fact that you already know you have time blocked for the other tasks on your to-do list means you will stop worrying about everything you have to do, instead just focus on that one set task in front of you. You will be surprised at how much time you waste daily by constantly doing small tasks like checking every email that comes in or answering social media messages. 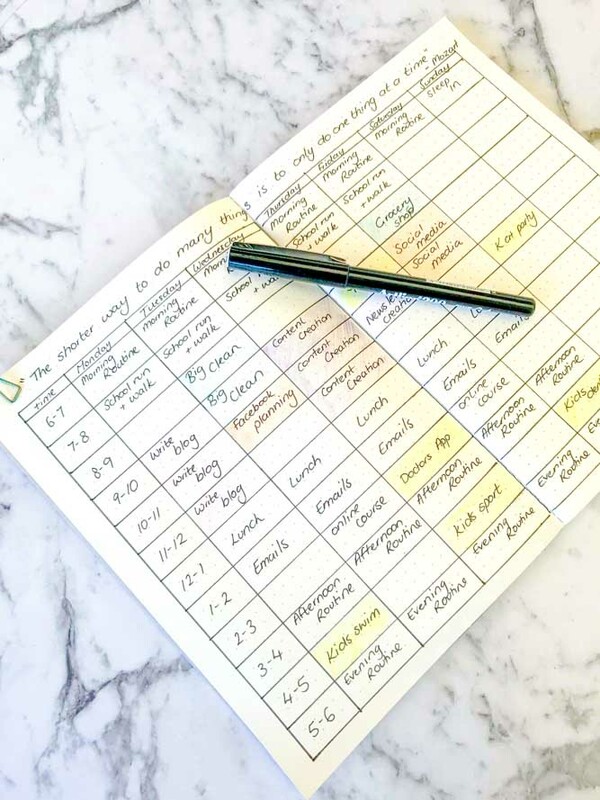 Creating a time block for all activities means that the stress is taken out of doing all those small time wasters as you know you have set aside a time block to do them later. Time blocking will only work if you put the time in to create the habit. As soon as you let another task distract you, you lose your focus. And that doesn’t help you be more productive in life. If you learn to become laser focused you will find that you are doing jobs so much faster than you thought possible. Put smaller tasks that work together in one time block. For example, if you have to turn on the computer to check emails, then use that time to also answer social media comments. Be very honest with yourself and think about what distracts you while you work. Maybe you get caught up browsing social media, maybe you always decided you need a drink or snack as soon as you sit down. Now think of ways to increase productivity by eliminating those distractions. Maybe you could get a social media blocking app for your computer? Turn your phone off? Or make sure you have a drink and snack on your desk before your time block starts? Once you are really focused you will be surprised at how quickly time can go. Be sure to set a timer so you know when to complete a section of time blocking. Just don’t get into the habit of constantly checking the timer. Have one that will chime when your time is finished and then move on to your next task. Done is better than perfect any day! 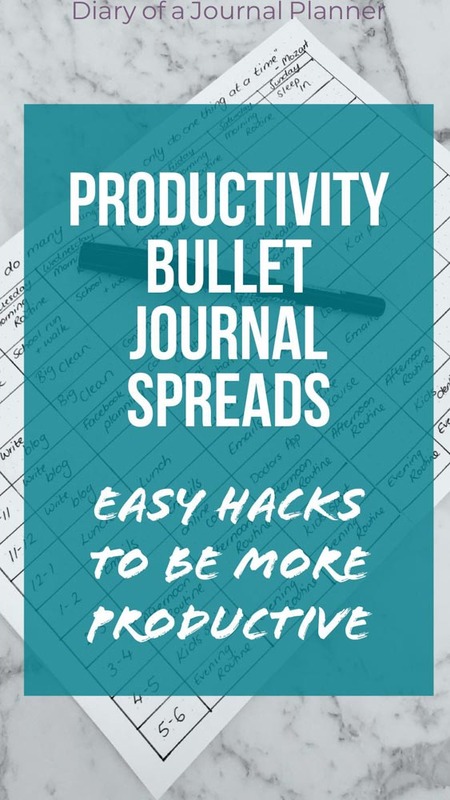 Just by having a Bullet Journal you are already on your way to being more productive! Having your life organized with daily spreads, collections that suit your lifestyle and trackers is a great start. 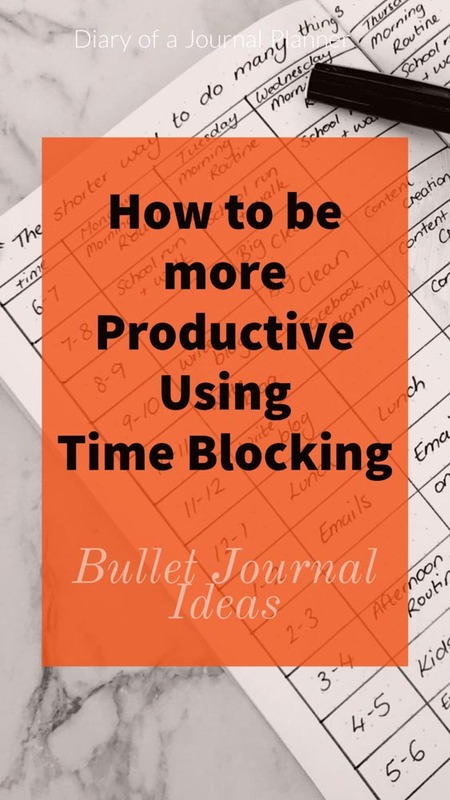 Time blocking using your Bullet Journal will be taking that productivity to a new level! 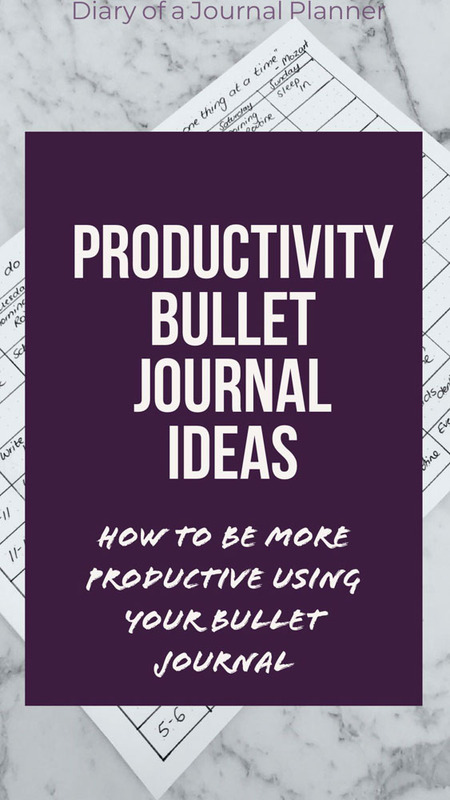 Below I give you a few tips on how to increase productivity with a bullet journal. New To Bullet Journaling? Find our beginners guide to Bullet Journaling here. 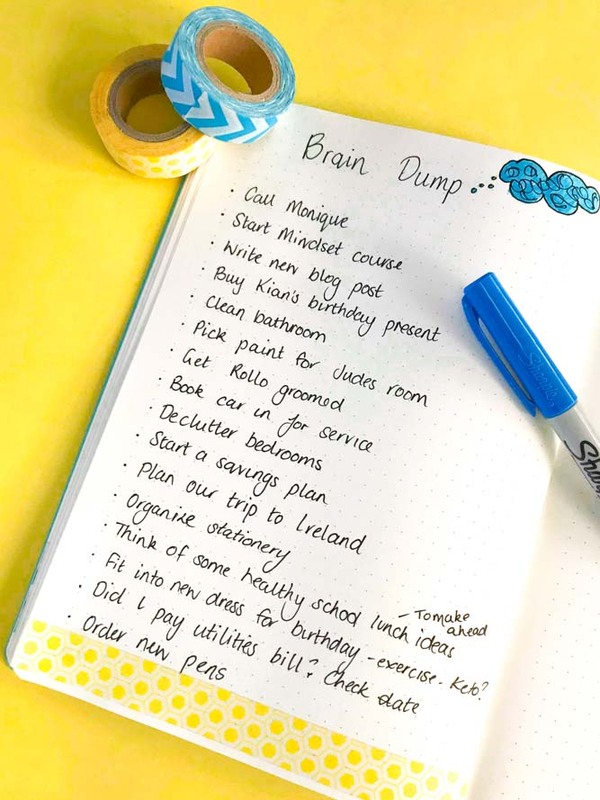 The very first thing to do before you write this list is a brain dump. Not only will this clear your mind, which makes focusing so much easier, but it will also make sure you don’t forget any of those little tasks that may be niggling away at you to be done. Read this post to learn how to brain dump. Next, go through your goals and see what action steps need to be taken during the week to make them happen. Remember, even the biggest goals can be broken down into small, manageable actions. Then check your weekly and monthly spreads for any things that need doing for the week. Also, check any tasks that didn’t get completed last week. Lastly, go through all those jobs you do every week. A really great idea is to have a master list somewhere in your journal of all the jobs that need doing weekly. This could be home cleaning, content creating if you work for yourself or job roles if you are employed. For time blocking to work, you need to be really realistic with this next step. When you are working out what time you have for tasks don’t forget to factor in everything in your life you need to work around. This could be children and family activities, commuting and downtime (self- care is super important. You will be far more productive if you make sure you look after yourself!). Don’t forget to factor for important times like socializing with friends and spending time with loved ones. The next step is to make an estimate on how long each task on your to-do list will take. Don’t worry if you don’t get this right at first. It takes some time to work out just how long tasks take and it is very easy to underestimate how long a task takes to do. A rough idea is fine to start with as you will naturally get better at doing this, the more you time block. Can you fit all your tasks into your available time? If you are like most of us then you will probably find that you have too many tasks and not enough time. This is the very first step of being more productive, choosing what tasks are a priority. Take a look through your to-do list and see what tasks can be delegated to someone else, what could be put off till another week or maybe it is a task that could be missed completely? One of the secrets of productivity is quality over quantity. Can you get your list smaller so you are doing just the important tasks that get the best results? Tim Ferris in one of his productivity posts shares a great way to determine if something on your to-do list is actually important or not. With each item ask “If this were the only thing I accomplished today, would I be satisfied with my day?”. Focus on those tasks that you said yes to. Finally, it is time to put those blocks of time into a working schedule. This can seem like a daunting task but think of it like a jigsaw puzzle! Firstly, put in those blocks where you have to do things at set times. This could be appointments, phone calls, children’s activities, fitness classes or even meal times. Then place in the task that tends to happen around the same time weekly. For example, I walk my dog every morning around the same time and I am active on our Pinterest account at our best engagement time. Lastly, fill in your free blocks with activities. Be smart here! Consider how you best work. If for example, you tend to get bored easily, don’t put two similar tasks blocked next to each other. However, if you find once you are on a roll, you are even more productive pop similar tasks right next to each other. I like to group my tasks together with similar themes as I feel more accomplished. For example, if I am time blocking for weekly household cleaning then I tend to do this in one day. The same with blogging tasks, like writing a post or planning our social media. I feel like I have really achieved something at the end of the day if I have a sparkling house or I have everything up to date on my blogging list. This is really personal though and it may take a little experimenting before you find what works best for you. Don’t be afraid to change things up if you feel that you are not getting the results you want. When you first start using the time blocking method take note of all the things that work and don’t work. See how much time it takes you to transition from one-time block to another. Also, see what you actually achieve in your time blocks. The more you practice this habit the more productive you will get. It can be a steep learning curve at the start though so don’t get disheartened when you first begin. It is very common to misjudge times for tasks, to get distracted at first and to overestimate what you can get done. You will also start to learn your own workflow. Everyone works best at different times of the day and for different lengths of time. Work around your personal rhythms and set your time blocks around them to be super productive. Don’t get caught up in sticking to time blocking rigidly. For example, you may find yourself in the flow with a writing assignment and you are coming up with amazing ideas! It’s perfectly okay to keep going with a task and swap around some of the time blocks. Or you may find that something unexpected comes into your day. These things cannot be avoided and are out of your control. I find the best way to make sure I don’t get stressed about everything when this happens is to leave blank time slots here and there throughout the week. That way I can do a little juggling and still get my to-do list done. So now you are ready to go! How do you make it work on a day to day bases? I tend to browse over my time blocking the evening before. I can feel accomplished about what I achieved over the day and I can make any changes if something came up, or a task has become urgent for the next day’s tasks. It also helps me sleep well, as I don’t stress about what I need to do the next day! Also I take the time to review my time blocking every so often to make sure it is working as well as it could. Marking in your journal as you go is a vital step in your time blocking. It is then possible to go back through your pages and easily spot what is working, what is not and if you are actually becoming more productive! Ready to try time blocking for yourself? Download our easy Productivity checklist here. It is the perfect way to make sure you don’t miss anything while you are planning your week. 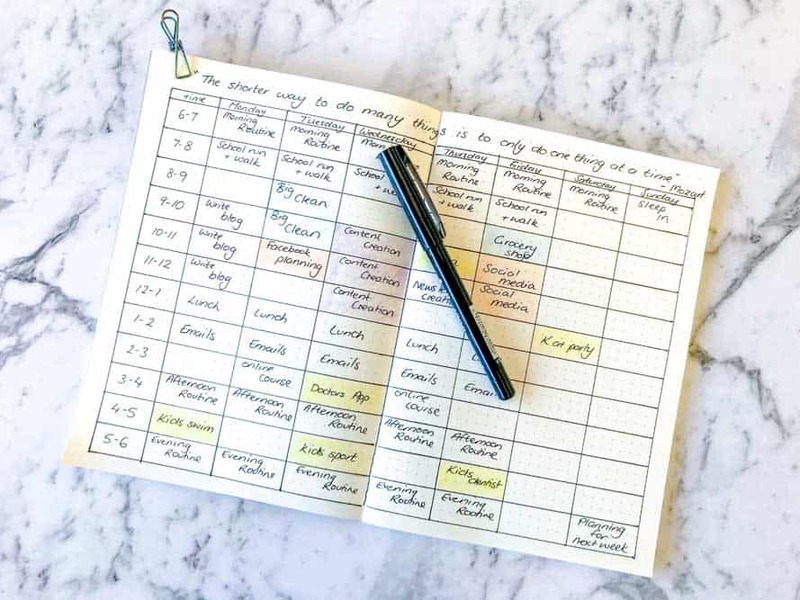 In The Mood To Organize Your Life?